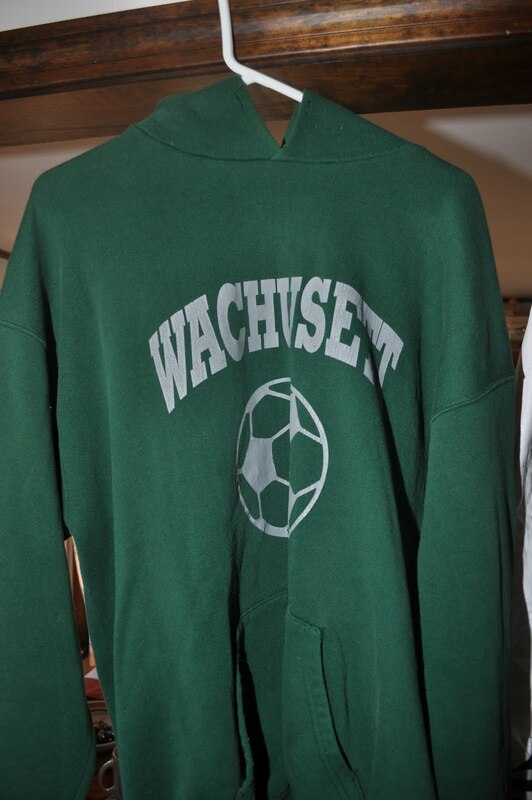 If ever there was proof that the economy has fully rebounded from its downward slide of a year ago, Americans need only look at the Wachusett School Store where sales records were shattered for retail stores across the nation this past Friday. Residents throughout the state flocked to Wachusett at 3 AM for Black Friday deals which saw 50 percent off selected items. The sale was highlighted by the unveiling of the new line of vintage Class of 1994 merchandise. Although the entire line of Class of 1994 product sold out store manager Ruth Briggs expected shipments of new stock to arrive in time for the Christmas holiday. Be the signal caller of your team AND your life with the new Designer Quarterback Gloves created by Evan McNamara. These gloves may be perfect for throwing the 75 yard touchdown pass to win the big game, but their use extends beyond the playing field. Having trouble gripping the steering wheel? The gloves will do the trick. And when you are looking for the last minute accessory to the senior prom or high school reunion you will not be sorry when you slip on one of these gloves. Their fashion is unparalleled. 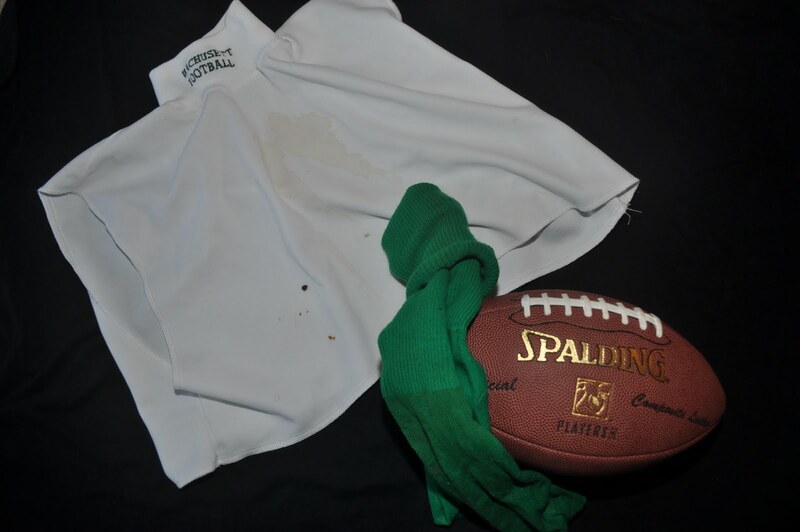 The Best Class Ever Game Ball – Have you ever wondered what it takes to be the best? 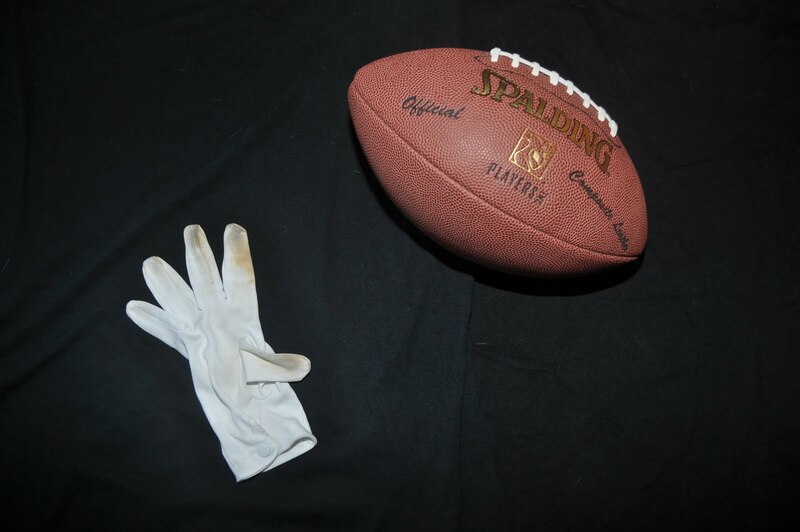 Wonder no more with the authentic replica game ball used by the Class of 1994 in their undefeated senior season. If you are truly serious about the game get the ball that both our class and the pros use. 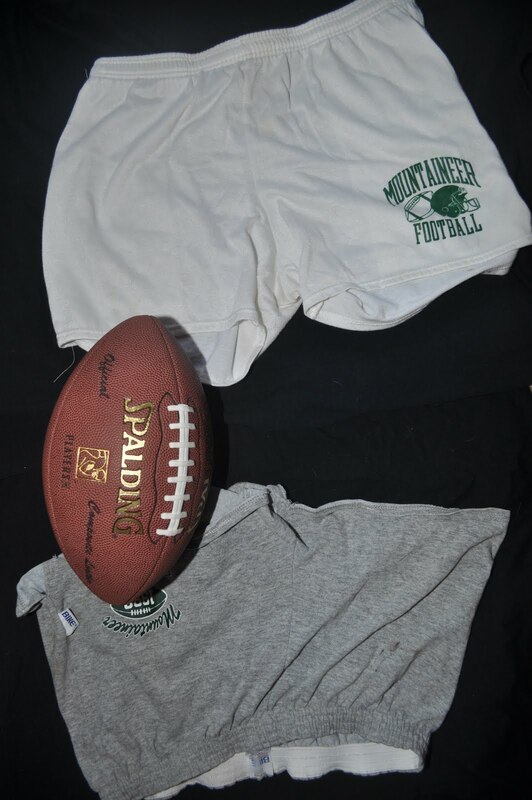 Don’t sweat the technique in these Ryan Santimaw Vintage WRHS Football Shorts. Each one is hand-stitched and numbered by Santimaw himself. These form-fitting shorts ride high on the leg and are intended for only the most serious of running backs looking to make the cut up the field for the long gain. 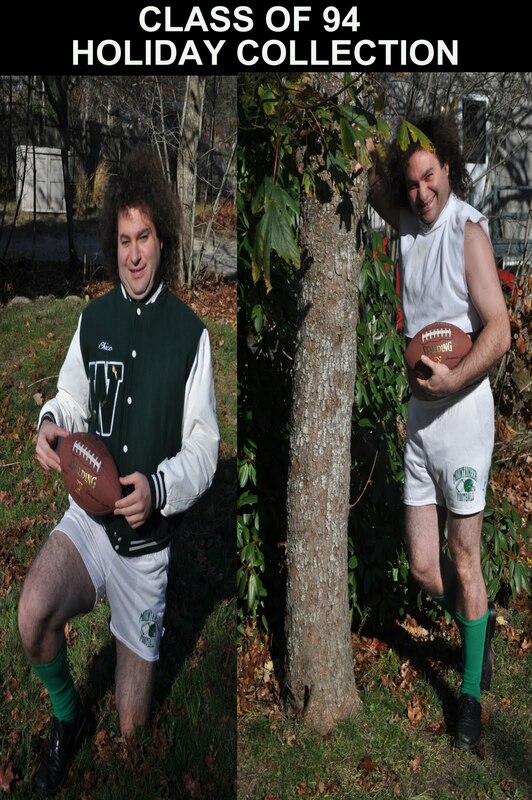 The shorts have been endorsed by New England Patriots running back Laurence Maroney. 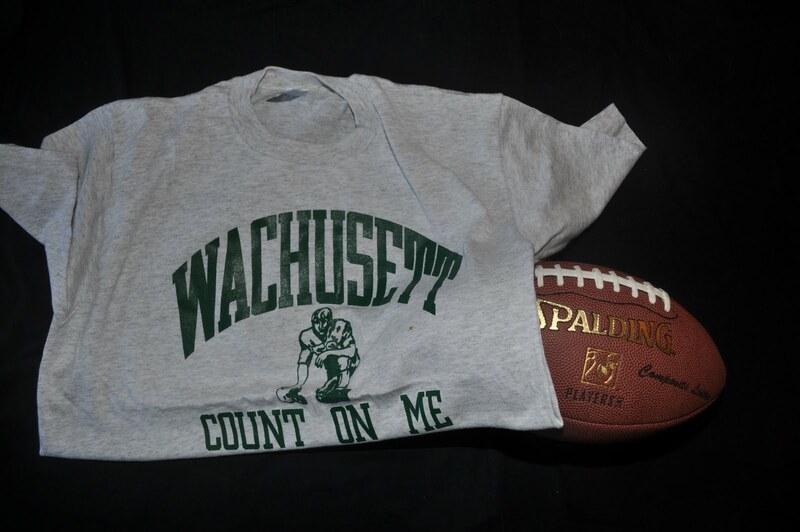 “Count On Me” was the slogan of 94 alum and former offensive lineman Eric Stuart. Whenever his team needed a first down they ran it to his side where you could always count on Stuey to make a gaping hole for his running back or fullback to blast through. “Count on me’ is not just a popular catch phrase, they are very powerful words that I live by,” Stuey said on Friday during a surprise appearance at the Wachusett School Store. Order your Eric Stuart Legacy T-Shirt today and you can count on it to be made of only the best material – 75 percent cotton; 25 percent wool – that will never shrink and always rise to the big occasion. What do you get when you combine the Tyler Bradshaw Class of ’94 Dickie and Steve Groccia Mountaineer For Life Soccer Dress Socks? A recipe for success. Wear this to an interview to land a six-figure job or out to the hottest Parisian nightclubs to woo over the supermodel of your dreams. Wherever you wear this ensemble you will be an unparalleled winner. The highlight of this year’s collection is the Larry Rettig Line of Football Pants. 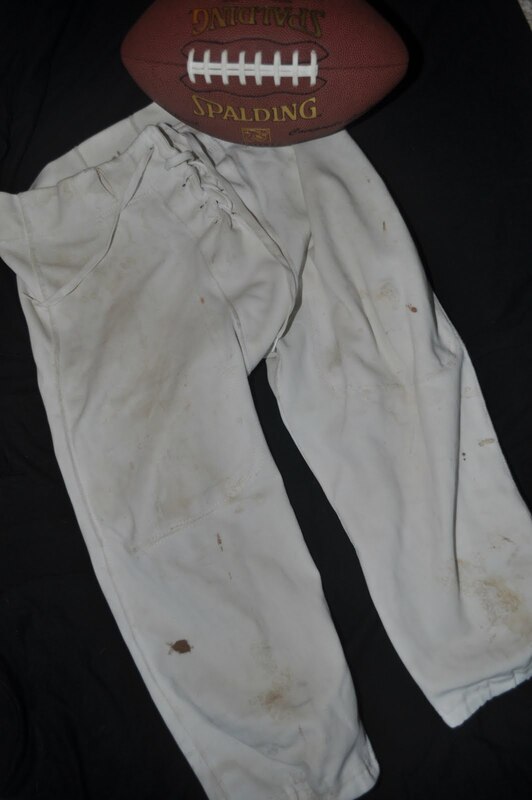 The pants are designed to impress, giving the appearance of having been used in an actual game. Everyone will want your autograph when they see you in these! Brian McQuoid was known for stifling opponents with his acrobatic dives and pouncing saves. Now his tenacity and will to win has been embodied in the Brian McQuoid Signature Sweatshirt Series (comes with or without the hood). 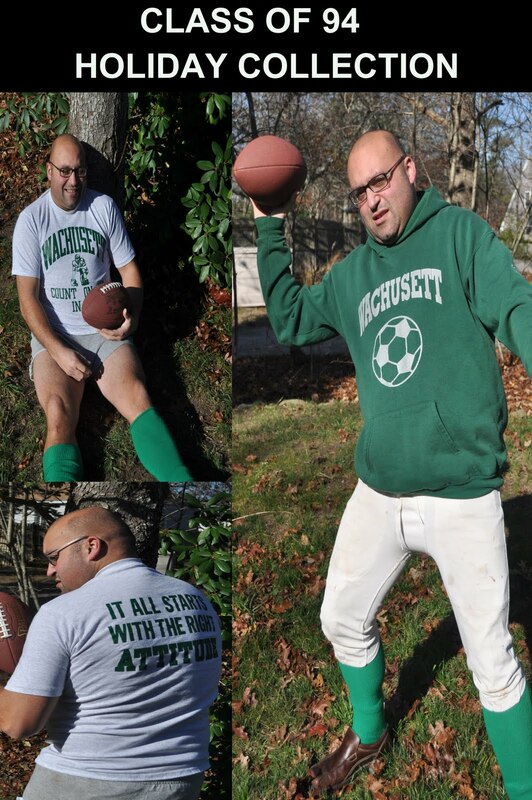 Order the sweatshirt between now and December 24 and receive a free Dave Hough Personally Autographed Shinguard. 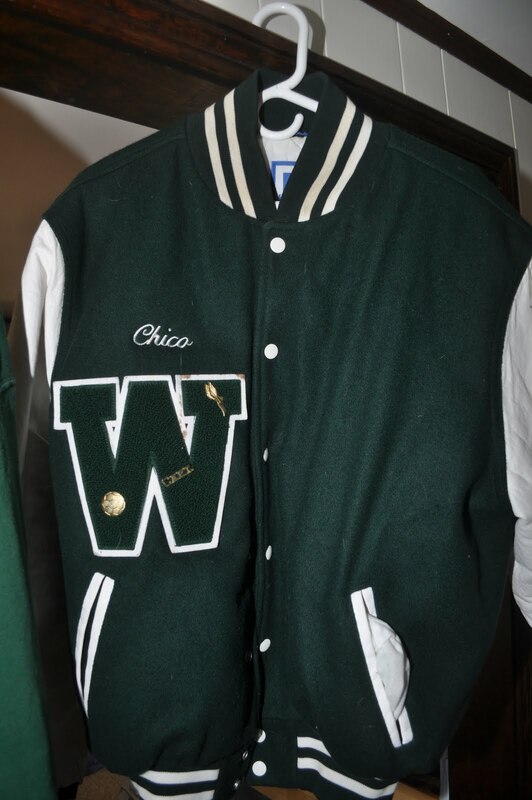 For a limited time the Chico Vader Senior Class President Letterman’s Jacket is available to those who have always wished to live like a king, but never had the means. The jacket comes equipped with your choice of a JV or Varsity Letter as well as your choice of a Latin Club or Library Club gold plated pin. Each jacket is embroidered with the “Chico” insignia. Categories: Black Friday, Christmas, gifts, shopping | Permalink.